Enigmatic, mysterious and sub textural, songwriter Leonard Cohen was an unflinching character, with an exact sense of prose, a wry humour and courage to wrestle with the unspoken, forgiving human frailty with the brush of each line. 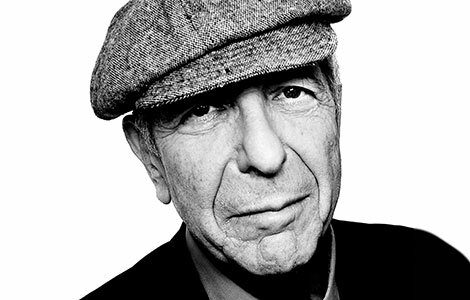 The chilling announcement of Leonard’s passing has marked the end of an era. His music befriended an entire generation. Within every line of his writing, he has been challenging us to listen more carefully, speak more thoughtfully, think more deeply and recognize our own fragility.. A Man of Grace. This World will miss him very much!.. With a lifetime reputation of performing in this exact way and an undying love of the ‘pure song’ Keith James gives you a concert of Cohen’s amazing material in the most intimate and sensitive way imaginable, exposing the solitary inner strength of his greatest songs in their original perfect form. Amongst a concert of such songs as; Famous Blue Raincoat, Sisters of Mercy, Suzanne and Hallelujah, are also Poems by Lorca that Keith has set to music; Cohen’s greatest influence. There will also be songs from ‘You want it Darker’ released only 10 days before his death – produced by his Son, Adam.